Tag your mood for the day with a dry-erase marker! Leave a message to your roommate(s)! Sometimes it’s better not to do anything before you’ve had your first cup of coffee before your morning college classes. 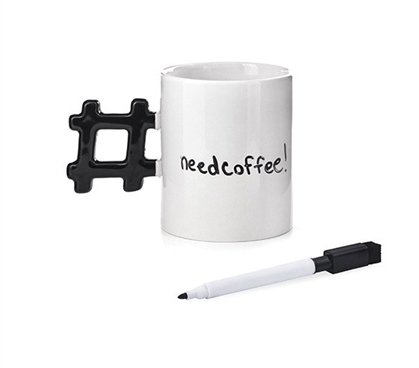 Let everyone know how you’re feeling with our Dry Erase Hashtag Mug. 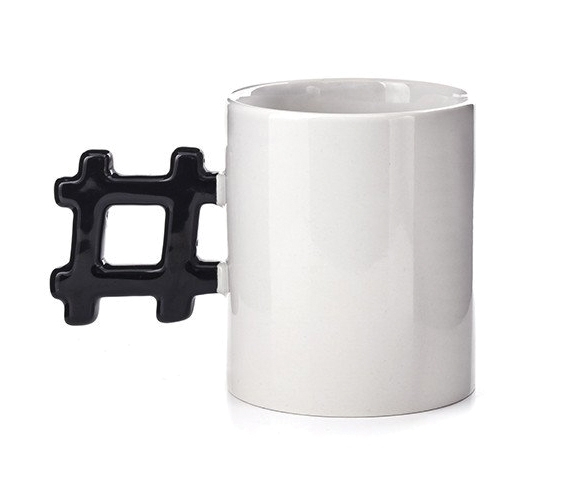 Perfect for recent college grads or current students, this college coffee mug is the trendy dorm essential to add to your college must-buy list. Warn your dorm roommates with a #NotToday hashtag or let them know you're feeling a bit fresh with a #YouMayApproach hashtag. No matter what you choose to write, save your voice and let your college coffee cup do the talking for you. After all, even college students need some warming up in the morning before starting their busy day. Let your college dorm decor and coffee mug show off your spunky, modern personality and let your dorm coffee cup be the #extra flair you’re looking for in your college dorm room.